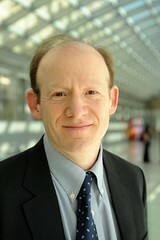 Andrew W. Wyckoff is the Director of the OECD’s Directorate for Science, Technology and Innovation (STI) where he oversees OECD’s work on innovation, business dynamics, science and technology, information and communication technology policy as well as the statistical work associated with each of these areas. Mr. Wyckoff was previously Head of the Information, Computer and Communications Policy (ICCP) division at the OECD which supports the organisation’s work on information society as well as consumer policy issues. Before heading ICCP, he was the head of STI’s Economic Analysis and Statistics Division which develops methodological guidelines, collects statistics and undertakes empirical analysis in support of science, technology and innovation policy analysis. His experience prior to the OECD includes being a program manager of the Information, Telecommunications and Commerce program of the US Congressional Office of Technology Assessment (OTA), an economist at the US National Science Foundation (NSF) and a programmer at The Brookings Institution. Mr. Wyckoff is a citizen of the United States, holds a BA in Economics from the University of Vermont, and a Master of Public Policy from the JFK School of Government, Harvard University. Click here for a high-resolution photo of Mr. Wyckoff.